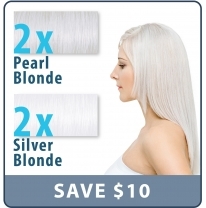 Now apply Pearl Blonde 10V or Silver Blonde Toner 10B. Use 10 or 20 Vol developer. Hair near the root will typically process faster than the lengths due to the heat of the scalp. In most cases you should apply first on lengths, then on the root area. Watch and test the hair carefully during processing time. In most cases you should get your desired result in around 10 minutes. 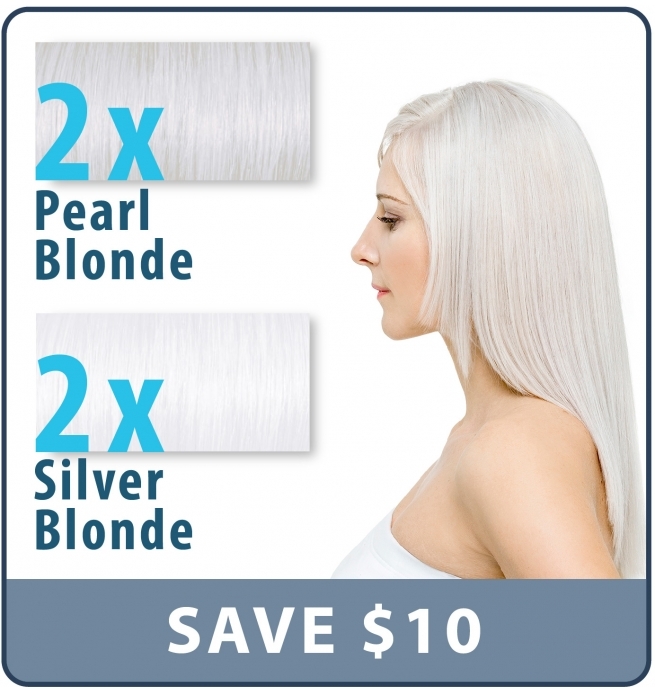 Set Contains: 2 Pearl Blonde Toners (10V) and 2 Silver Blonde Toners (10B). Total: 4 Tubes of Toner. 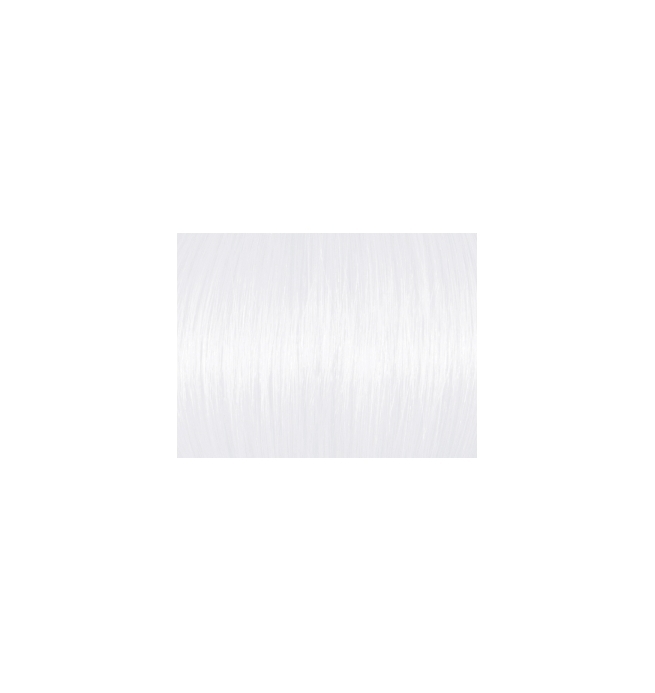 Pearl Blonde Toner (10V) contains intense violet pigments to kill residual yellow in hair and produce a pearl-white color result. 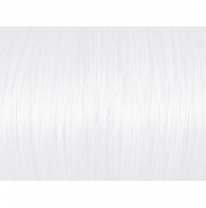 Silver Blonde Toner (10B) contains intense blue pigments to kill residual yellow in hair and produce a silver-white color result. 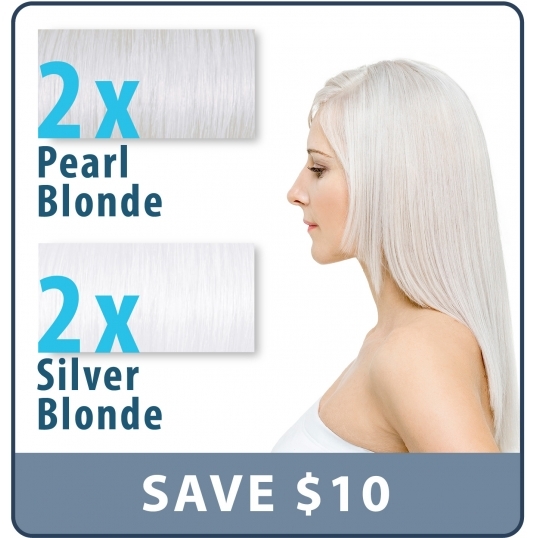 For best results, apply on pre-lightened or blonde hair (Level 9 or higher). Typical processing time: 10-15 minutes. Can be used for new or repeat applications. 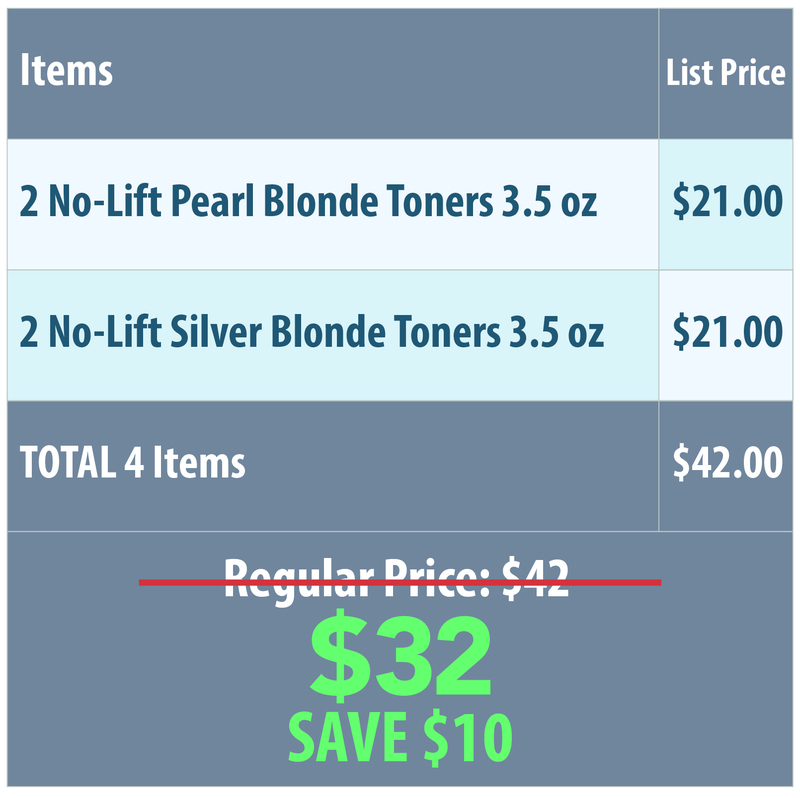 [meta_description] => Set Contains 2 No-Lift Pearl Blonde Toners, 2 No-lift Silver Blonde Toners. Fast Acting. Can be applied on Wet or Dry Hair. Click here for exclusive deals. In most cases you should apply first on lengths, then on the root area.